Fiji bringing home about 65 peacekeepers it has stationed in Egypt's Sinai Peninsula due to security threats. Fiji announced on Sunday it would be bringing home about 65 of the 300-plus peacekeepers it has stationed in Egypt's Sinai Peninsula, The Associated Press reported. 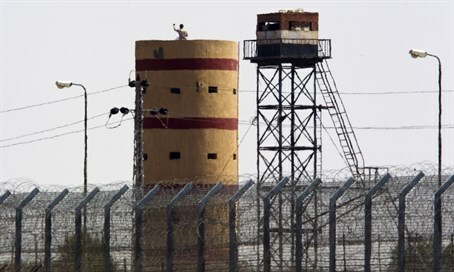 The country also said it has closed remote bases in the Sinai as the security situation deteriorates. Commander Humphery Tawake, who heads the South Pacific nation's foreign peacekeeping force, said Fiji was asked to scale down its presence by the leaders of the international peacekeeping operation in Egypt. He added said the U.S. and Colombia were also planning to reduce troop numbers as peacekeepers in the northern Sinai found themselves increasingly caught in the middle of fighting between Egypt's armed forces and jihadists affiliated with the Islamic State (ISIS) group. "It's not only affecting us, it's affecting the whole mission," Tawake said. "The threat and the danger that has pre-existed since 2013 has spilled over. Some of our locations were hit by indirect fire and mortars last week." The Sinai has been hit by an insurgency which has gotten worse since the military ousted former Islamist President Mohammed Morsi. Most of the attacks have been claimed by the Sinai Province terrorist group, which has pledged allegiance to Islamic State (ISIS). Among the attacks claimed by the Sinai Province since the 2013 ouster of Islamist President Mohammed Morsi was the assassination of a top Egyptian police general, who was gunned down as he left his home in a west Cairo neighborhood, and a bus bombing on a tour bus filled with South Korean tourists in the Sinai. Tawake said on Sunday that five of Fiji's remote outposts in the Sinai have been closed recently, leaving just two or three operating. He said only about 10 to 15 troops operate the small outposts, making them more vulnerable to attack than larger bases. He added the decisions about troop numbers were coming from the headquarters of the Multinational Force and Observers group, and exact numbers for Fiji's drawdown had yet to be finalized. He said Fiji had stationed peacekeepers in Egypt since 1982, with the latest group of a little over 300 beginning a planned one-year rotation in February. Last month there were reports the Pentagon has is planning to cut the number of American peacekeeping troops in the peninsula, partly because of the growing threat from ISIS. The White House denied those reports, saying Washington is considering using advances in technology as a way to supplement its peacekeeping efforts in the Sinai. Fiji also has peacekeepers in the Golan Heights, part of the UN force which has monitored a ceasefire between Syria and Israel in the Golan since 1974. In 2014, 45 Fijian peacekeepers were held captive in Syria for two weeks by the Al-Qaeda linked Nusra Front before being released unharmed.